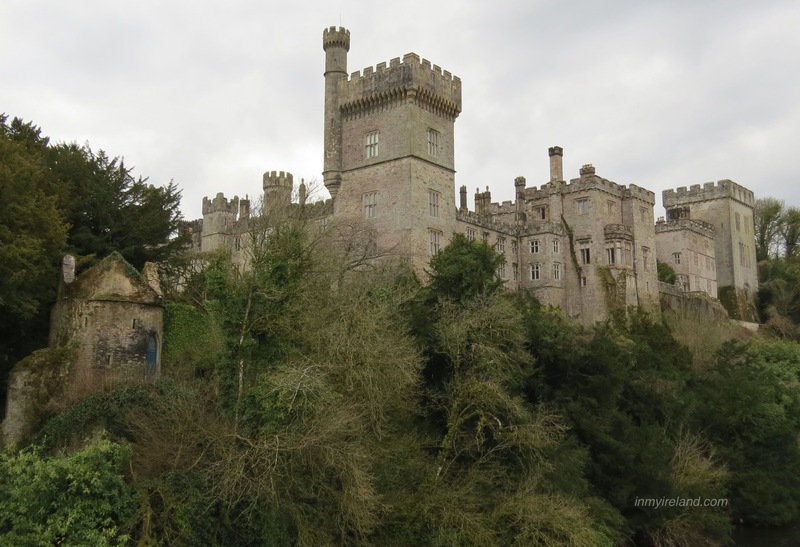 If you take the N72 via Cappoquin to the lovely town of Lismore in Co Waterford, the sight pictured above is what welcomes visitors to the town of Lismore. Followed by an equally impressive view of the castle as you enter the village and cross the bridge into the town itself. 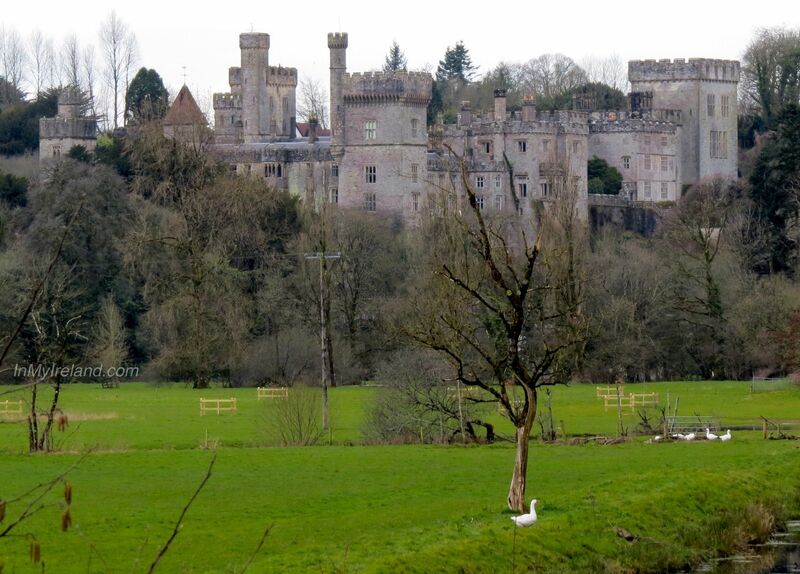 Lismore Castle (Irish: Caisleán an Leasa Mhóir) was built in 1185 by Prince John to guard the river crossing. The castle site was originally occupied by Lismore Abbey, an important monastery and seat of learning established in the early 7th century. 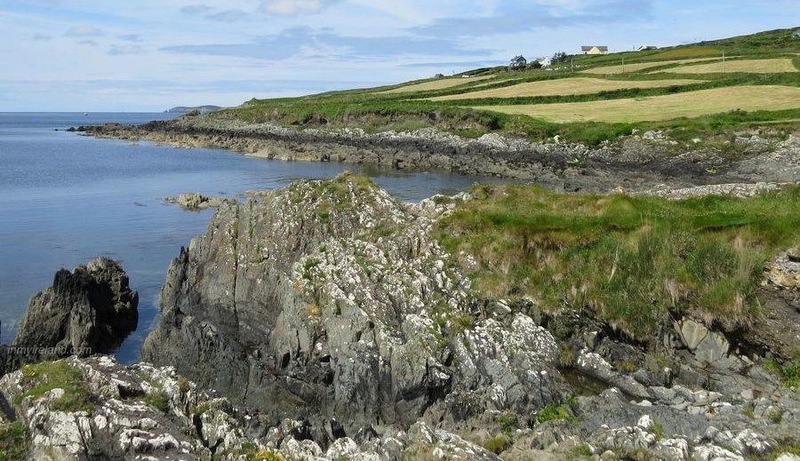 It belonged to the Earls of Desmond, subsequently to the Cavendish family from 1753 and is currently the Irish home of the Duke of Devonshire. The Duke, who succeeded to the title in 2004, continues to live primarily on the family’s Chatsworth estate. 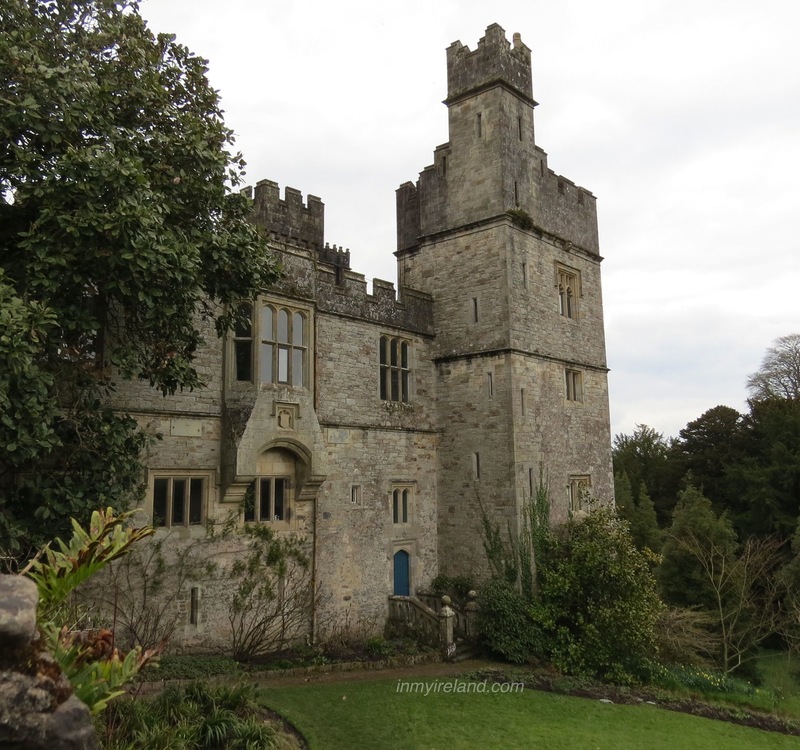 His son and heir, Lord Burlington, who maintains an apartment in the castle, has been given management of it, and in 2005 converted the derelict west range into a contemporary art gallery, known as Lismore Castle Arts, which is open to the public.